← Do Deficits Matter? We’re All About to Find Out. Ron Paul IS a national treasure. He is virtually the only member of Congress who has consistently and forcefully argued that the central banking system (the FED) needs to be eliminated. At the very least, the Fed must be accountable to the people. It is a private company that operates in secret. Central banking from its very beginning (notably the founding of Bank of England) was designed to enrich the bankers and enable the political powers to circumvent popular control. The bankers are enriched by their monopoly control of our credit on which they require us to pay them interest when we “borrow” it back from them. The politicians get to spend virtually as much as they want to enrich themselves and their minions, to oppress the people, and to fight wars and undermine popular government and community self-determination. The Fed enables all of this then tries to manage the effects of these crimes, giving us both depressions and inflation of the currency. That amounts simply to deciding who will be made to pay the price. On the one hand, small businesses are made to fail and workers become unemployed when banks restrict credit to the private productive sector, while at the same time lavishing credit on the government, bailing out financial behemoths, and financing mega-corporation that are deemed “too big to let fail.” On the other hand, the Fed will monetize government debt as needed to enable profligate government spending to continue. That monetary inflation naturally causes prices to increase, diminishing the purchasing power of everyone who lives on fixed incomes or has dollar denominated savings. In the extreme (hyper-inflation), the middle-class gets wiped out financially. The one thing that NO ONE wants to talk about is LEGAL TENDER. It is legal tender laws that compel acceptance of debased political currencies. Without legal tender, those inferior currencies would quickly be displaced in the market by private and community exchange media that are properly issued on the basis of real value. This is happening anyway, as parallel exchange systems are being developed and used, but legal tender and general ignorance about money, banking, and credit put them at a disadvantage. While the “Austrian School” of economics has managed to gain some attention, it’s too bad the “German School” has remained obscure. Names like Rittershausen, Beckerath, Zander, Meulen, and Milhaud, should become household words, along with E. C. Riegel. 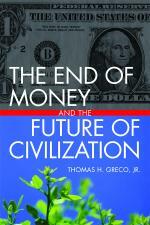 Their writings on free money and banking (i.e., free of monopoly control) are available at http://reinventingmoney.com. These issues are largely covered in my various presentations that can be seen as movies or slide shows on my blog, http://beyondmoney.net. This entry was posted in Banking, Finance and Economics, The Political Money System and tagged Beckerath, Federal Reserve, free money, Meulen, Milhaud, Riegel, Ron Paul, Zander. Bookmark the permalink. I once read an article entitled the “illegality of legal tender” Will have to go back and find it. Who has seen Tom’s power point presentations on E.C. Riegel and agrees with his positions and cares to contact me? We plan to apply his teachings. Anyone care to assist us in a location in the USA. I think Ron Paul is great too, but he is too easily discredited with his talk of a return to the gold standard. It just seems too fringe and is too easily attacked as a catastrophic idea. If he would take your suggestion, but merely one step at a time, starting with some competition in the currency market, perhaps not even full repeal of legal tender, just a couple competing currencies at first… Now that would be an idea that could be sold.